Each of us shapes and shares the School of the Art Institute of Chicago (SAIC) story. At SAIC, our Core Values guide our purpose: we are artists and scholars, exploring the world and creating history while we think and make in innovative ways. We are Chicago, in all of its energetic, dynamic, and complex interactions. Since our founding in 1866, SAIC has encouraged students to take risks, investigate ideas, and produce bold works that change the world. We know that what comes next comes from here. A common identity reinforces our Core Values. The purpose of these guidelines is to ensure that as we tell our individual departmental stories, a collective SAIC story is revealed, unmistakably recognizable and advancing SAIC’s unparalleled reputation of influence and impact. 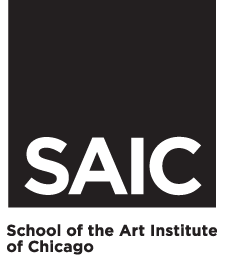 These guidelines were developed to aid members of the SAIC community as they communicate on behalf of the School, while offering flexibility for departments and programs to tell their own stories. As you create and communicate via brochures, posters, flyers, signage, emails, social media, and more, these guidelines will help you connect your story to the collective SAIC identity.